RWM's pride, Ginzadon is one of the best Japanese restaurants in town, serving only the freshest catch of the sea, giving their loyal patrons more reason to come back for more sumptuous sushi and sashimi. 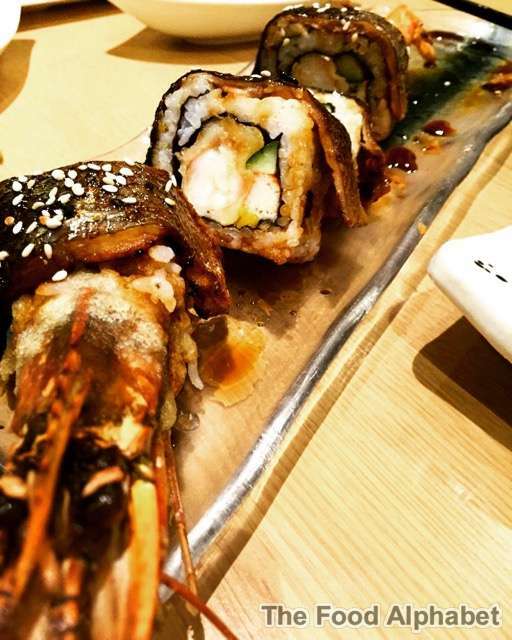 All the best ingredients rolled into one, with grilled salmon skin-covered sushi rice, nori, king prawn tempura, cucumber, kani and mango, how can you not love this! A bite into this maki roll, fills you up big time. 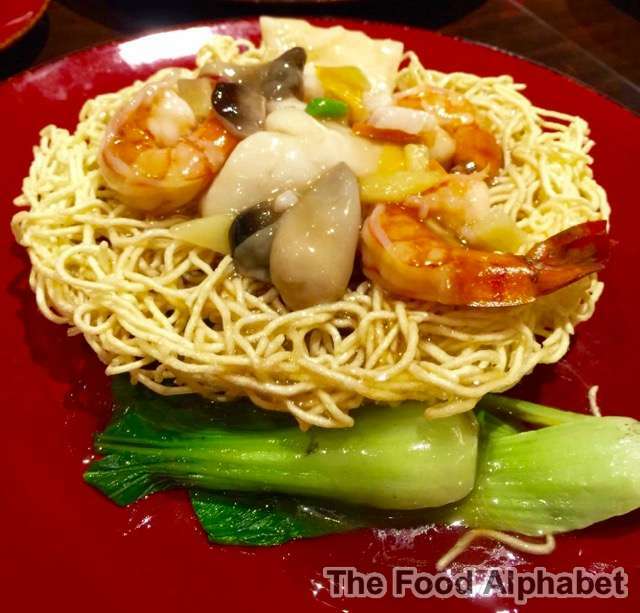 Another of Resorts World Manila's Chinese restaurants, apart from Passion, serves up Chinese delicacies just like what you enjoy in Hong Kong! This you gotta try!!! 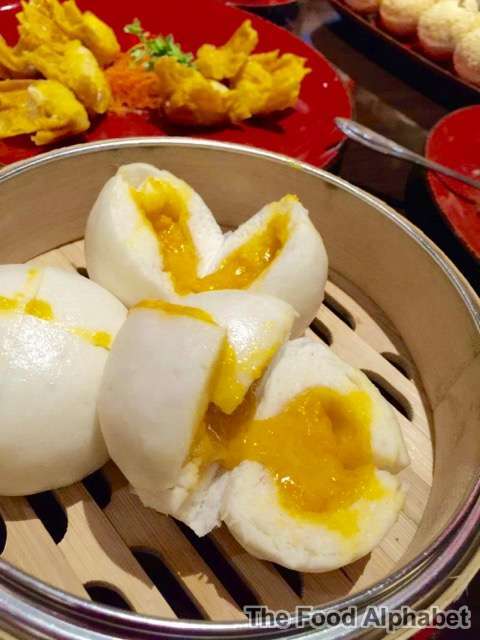 Bite into oozing Salted Egg filling, as you savor with its soft chewy buns, one is never enough, you really got to stop yourself from drooling now. NYPD in short, haha not the police district that you know. 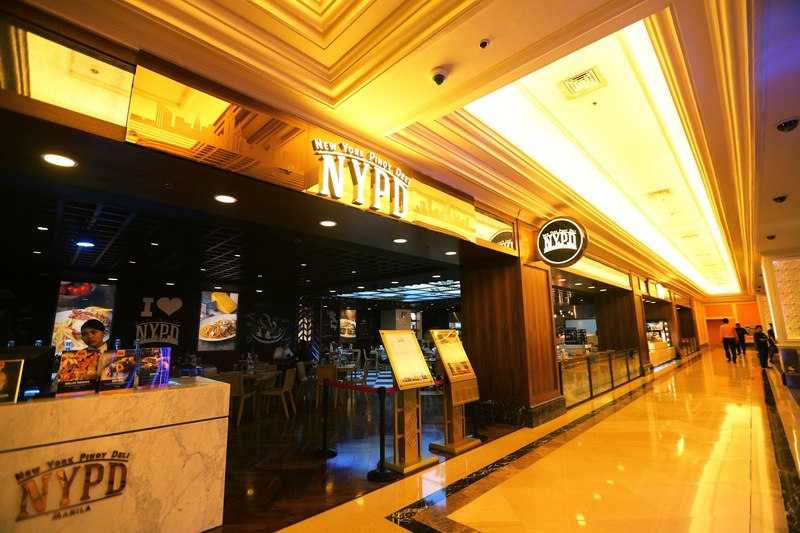 New York Pinoy Deli serves up a different kind of Filipino dishes mix with flavors of well New York, USA. 100% U.S. pure beef patty, with melted cheese, crispy maple bacon, garnished with fresh lettuce, tomatoes and onions, oh you had me at "Bacon". 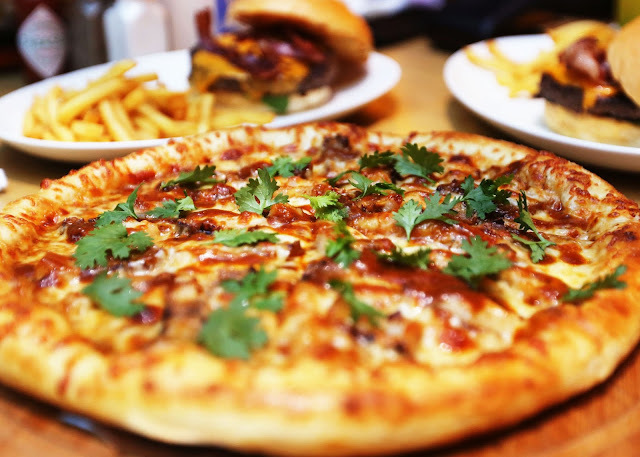 A Classic Filipino favorite Pork BBQ, made into a pizza, Genius! This is crazy good! 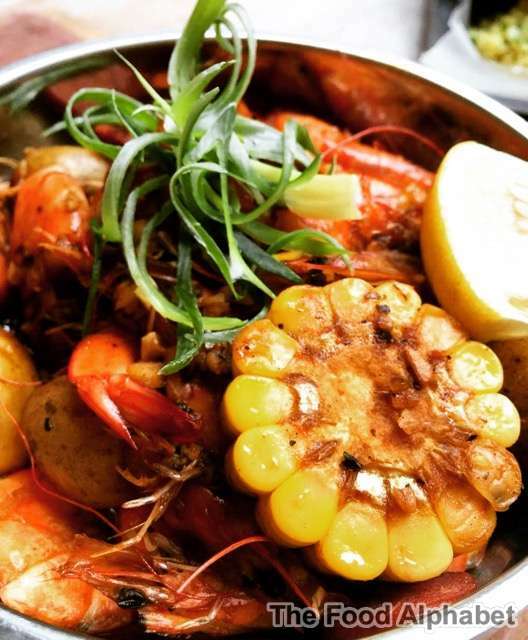 Get a load of shrimps, smoked Andouille sausage, Cajun grilled corn and baby potatoes, mix it up with butter creole spices makes this one of my favorites on our food crawl here at Resorts World Manila. 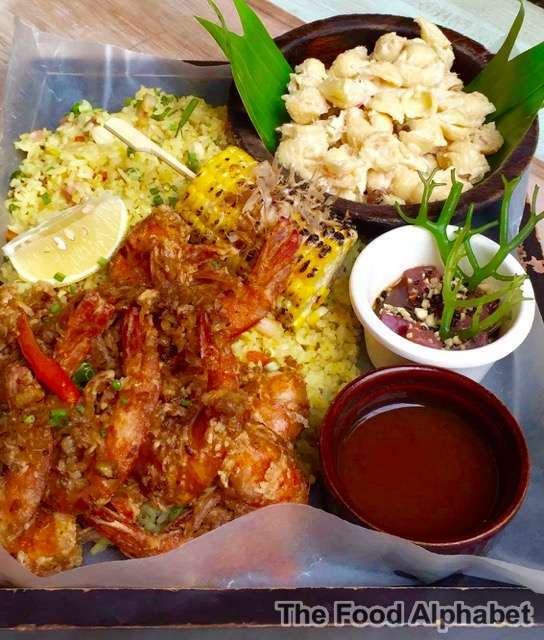 And if you can't get enough, then do try their Classic Kahuku, which garlic spiced shrimps on a bed of sumptuous yellow rice and a cob or corn and potato salad on the side. 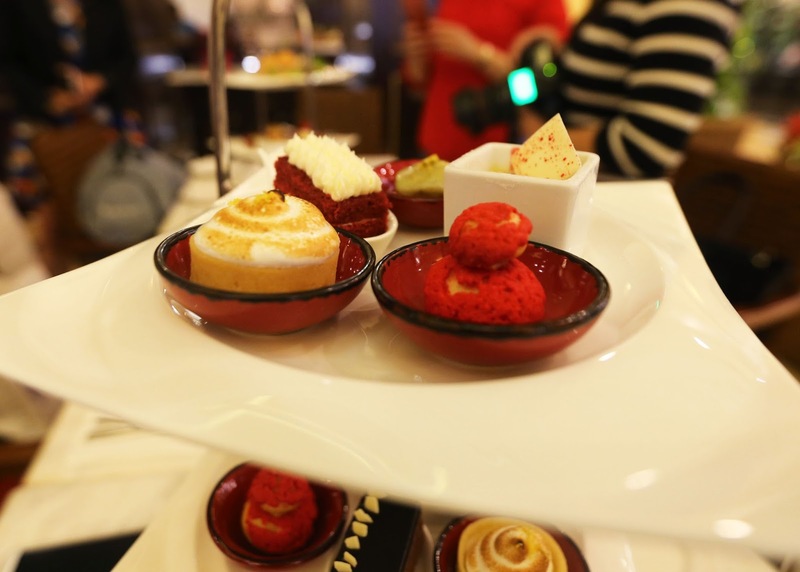 Cafe Maxims houses their very own ice cream making station as well fabulous tea treats and pastries where you can unwind and just, enjoy. A blend of sweet treats to pair with your favorite cup of brewed coffee, for a relaxing chat with friends, best way to unwind on a lazy afternoon. Well that concludes our Food Crawl here at Resorts World Manila, these fine restaurants are just a but a few of what RWM can offer you, do check out these establishments and enjoy their great food offerings, and open your palettes to more dining places in Resorts World Manila.